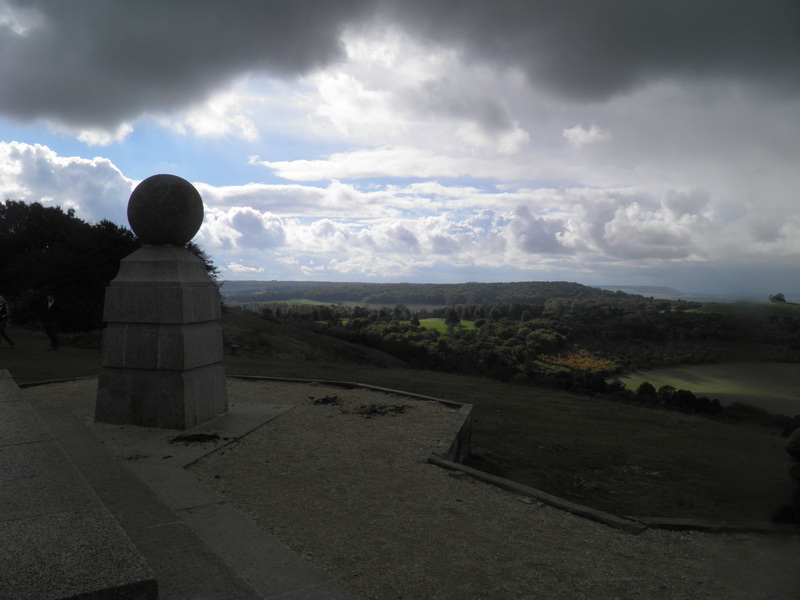 A classic walk through Chiltern beechwoods above the Vale of Wendover, climbing to the sweeping viewpoint of Coombe Hill, before descending past the prime minister’s country retreat. A superb walk in autumn. 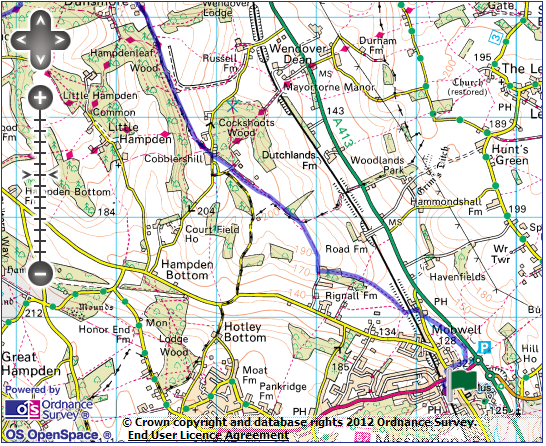 Underfoot: The bridleways between the hilltops north of Great Missenden and Dunsmore will be muddy after rain, though there are often alternative parallel footpaths. Most other sections are firm paths, grassy fields or minor roads. 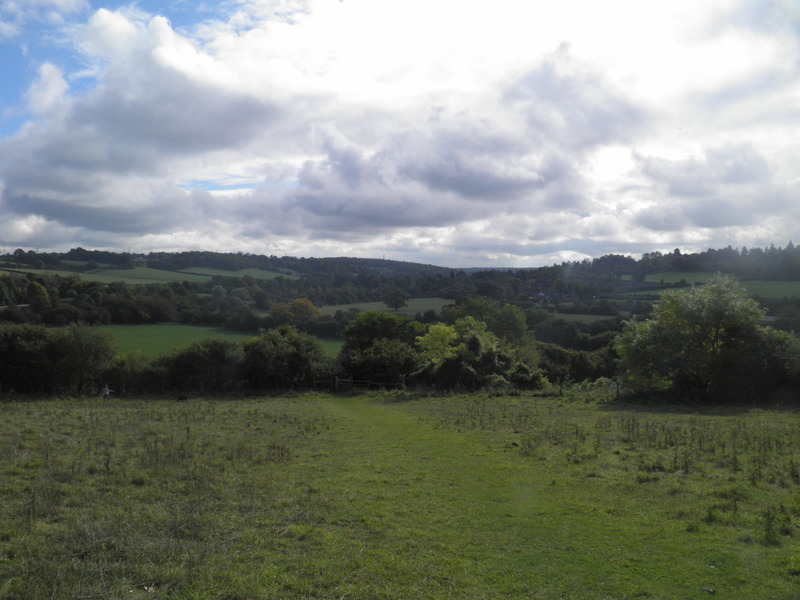 Terrain: The climb from Great Missenden to Combe Hill is generally very gentle. 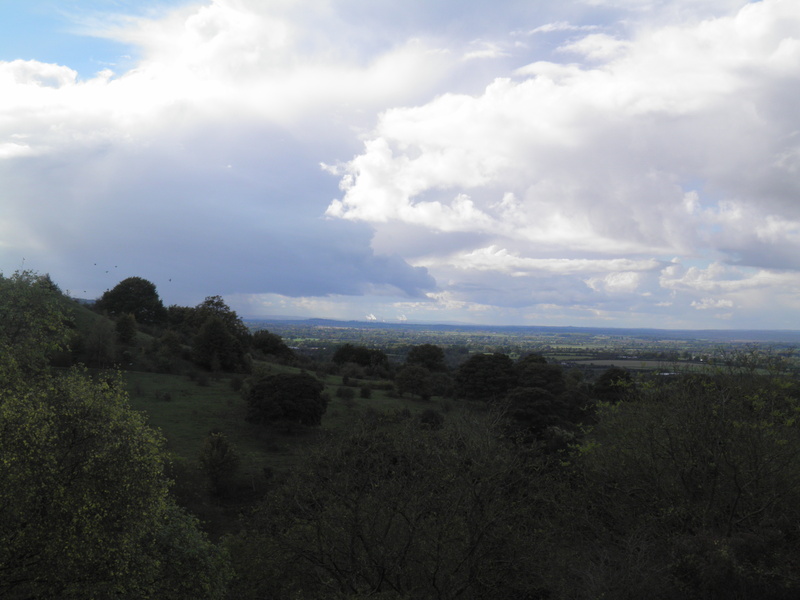 There is a steep descent towards Chequers and a second to Great Kimble. 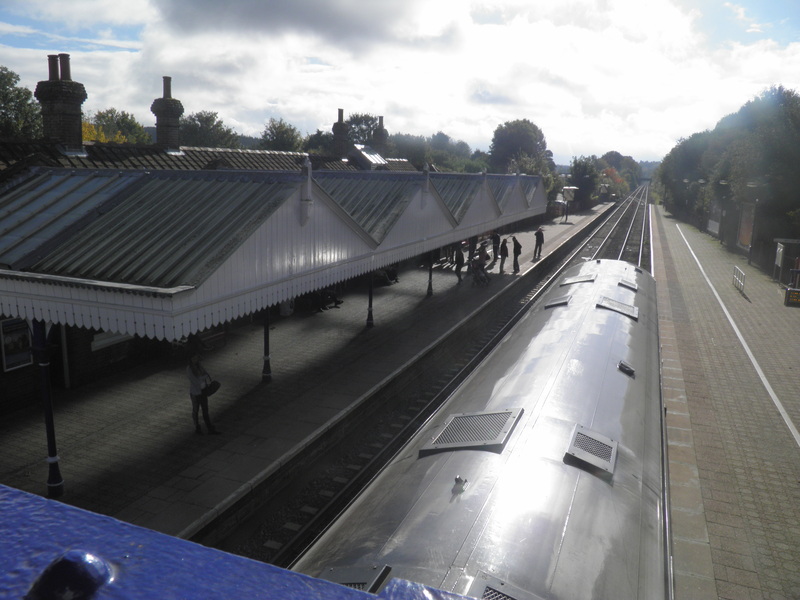 Getting there: Getting there: Great Missenden is served by two Chiltern Trains services an hour (one per hour on Sundays) from London Marylebone (41 mins) via Harrow-on-the-Hill (29 mins) for Metropolitan Line connections. 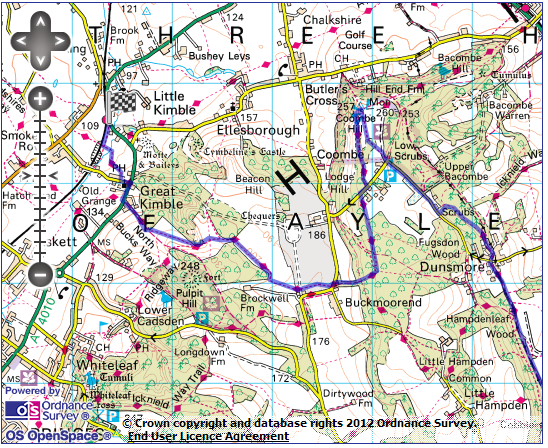 Useful websites: The route uses parts of the Ridgeway Path and South Buckinghamshire Way and visits the National Trust property at Combe Hill & Low Scrubs. Getting home: Little Kimble is situated on a minor branch line between Princes Risborough and Aylesbury. Monday-Saturday, it is normally necessary to take the hourly shuttle train to Princes Risborough (10 mins), from where there are connections to London Marylebone (36-55 mins). 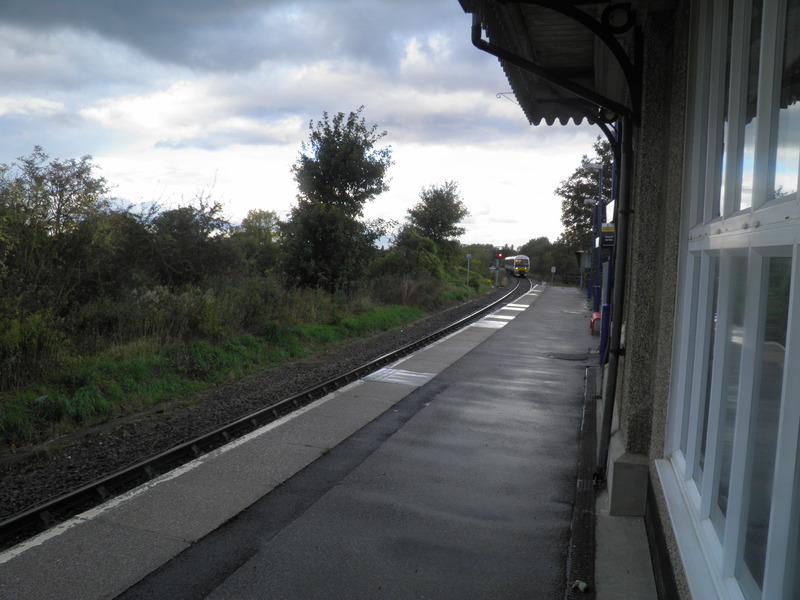 Trains from Little Kimble normally connect with the fastest services at Princes Risborough, giving a total journey time to London of around 56mins. On Sundays, there is normally a direct hourly service from Little Kimble to London Marylebone, taking 66 mins. Fares: The cheapest option is to purchase an off-peak day return to Aylesbury for £18.50 (£9.25 child, £12.20 railcard). Ensure you purchase an ‘Any route’ ticket, to cover both routes from Aylesbury to London, rather than the slightly cheaper ticket that is only valid on the direct route via Chalfont & Latimer. left on the station approach road and at the end, right by the Co-op. At the bottom of the hill, turn left on High Street and almost immediately right on Walnut Close. Alternatively, a right turn on the narrow High Street takes you into the centre of Great Missenden, formerly a major coaching centre, and still containing many of the inns. Also in the village is Gipsy House, home of childrens’ author Roald Dahl for for 46 years until his death in 1990, now a museum. Continuing the literary theme, Great Missenden was also briefly the home of Robert Louis Stevenson. Where the road ends continue straight ahead on a narrow tarmac path. At a footpath sign, keep straight ahead on a grassy path across the valley floor. Through a kissing gate, head left along the tree line. Pass through two more gates to come alongside a busy main road. Keep to the grassy track through a long valley field towards a distant gateway. After one more field, emerge in the car park of the Black Horse pub and emerge out onto a road. Turn right then quickly left on a path next to Town End Farm’s drive, soon passing under a railway bridge. the clear path uphill to a gateway into the Access Land on the wooded slopes. Continue straight ahead up the steps, through a further gate and continue to climb. Keep beside the wood, ignoring a gate to the left. 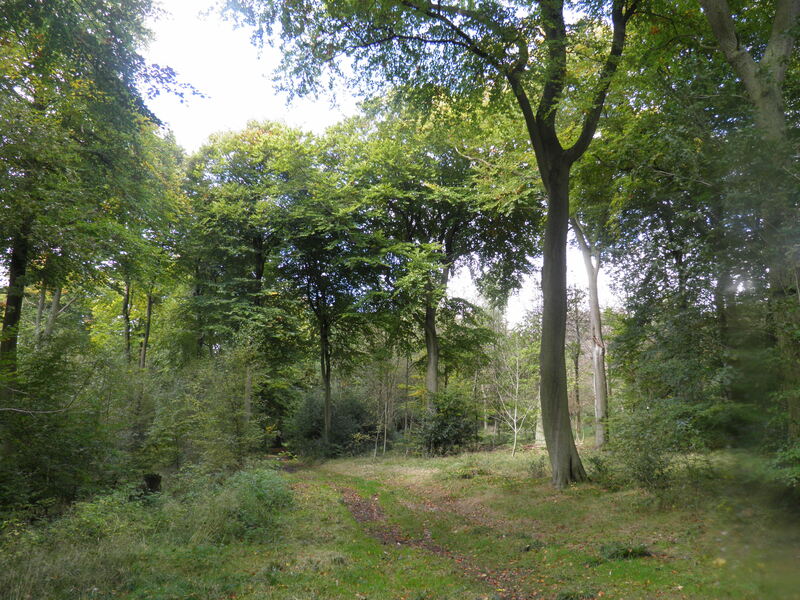 On reaching a corner of the wood, enter through a footgate and follow the clear path through the beech trees. At the far end of the woods, at a signpost, turn right on a clear bridleway. 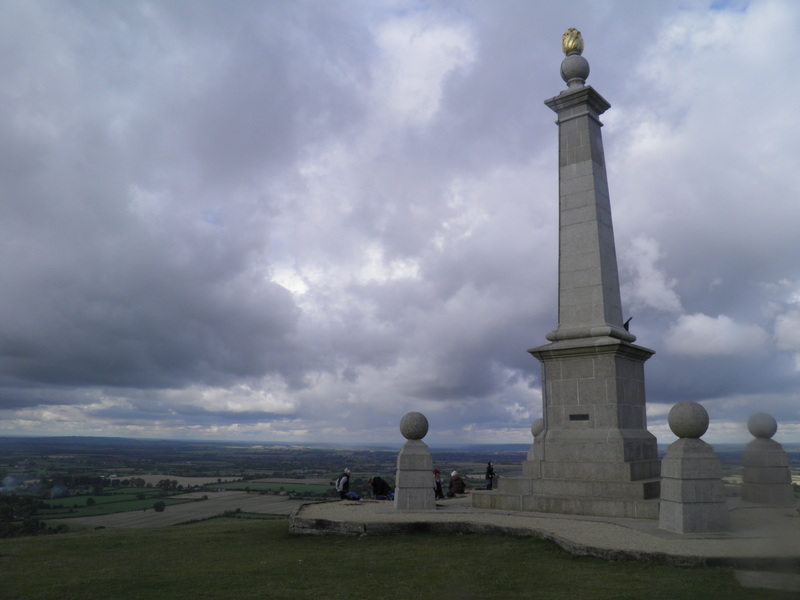 This emerges onto a hilltop with fine views over Wendover Vale. At a junction of tracks, swing left. Keep to this fenced bridlepath, though at one point there is the option to cross a stile to the left and follow a footpath beside the track – worth doing if the bridleway is muddy. 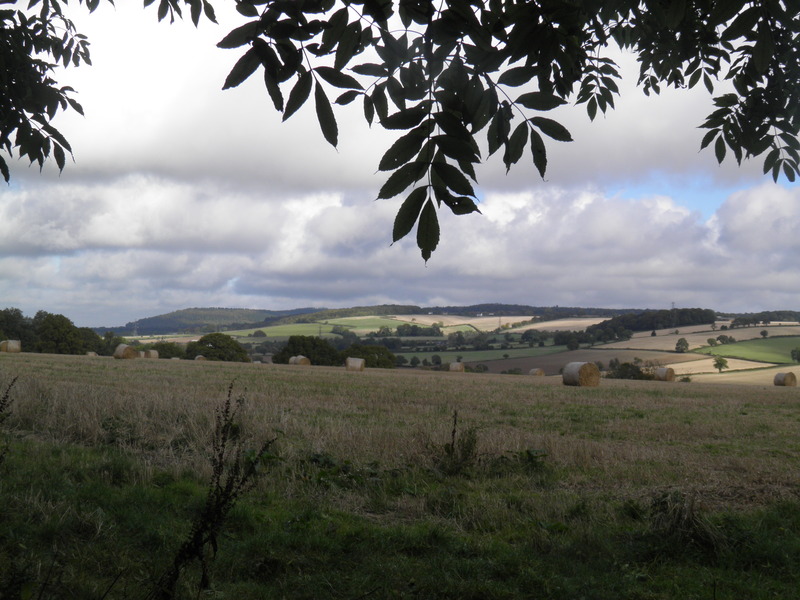 At a cross tracks, keep straight ahead on a bridleway towards the buildings of Cobblershill Farm. On reaching the road amongst the cottages, cross and take the gravel track past more houses (signed as South Buckinghamshire Way). Keep straight ahead at a path junction on a firm bridleway along the ridge. Enter a wood ahead and follow the broad, sometimes muddy path along its edge. Ignore paths to left and right and continue straight ahead. On reaching an isolated wooden cottage, keep straight ahead on its drive. 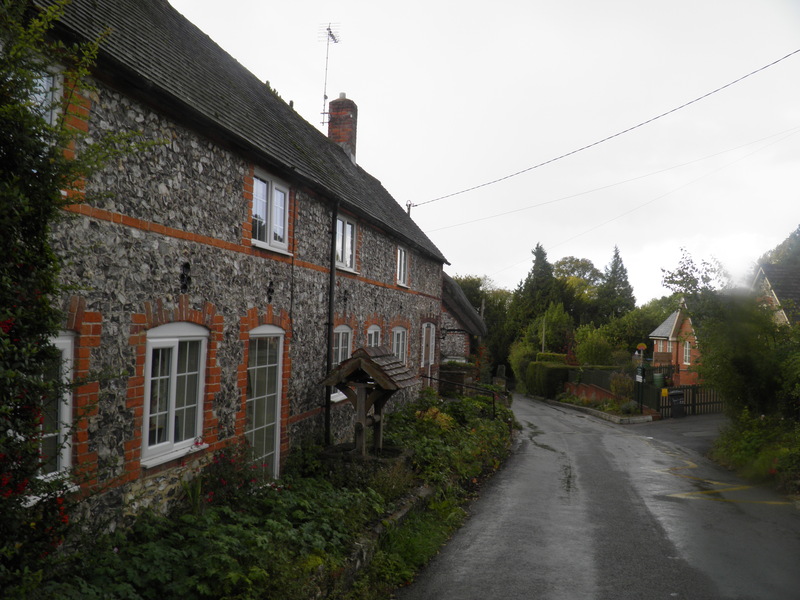 Emerging in the village of Dunsmore by the former Blackhorse pub, continue straight on past the pebbledash chapel. 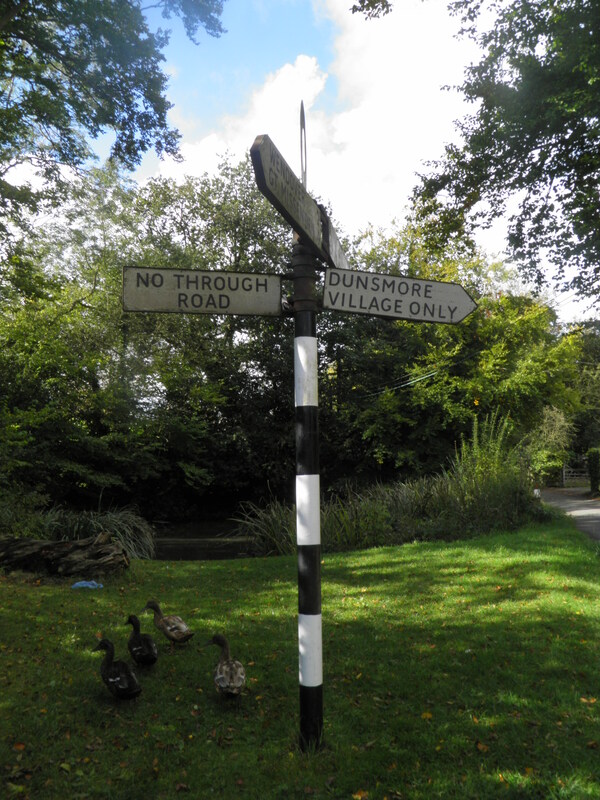 At a road junction by a pond keep straight ahead towards ‘Dunsmore Village Only’. Keep to the narrow road through houses. The Road ends by a house called The Beeches – continue straight ahead on the bridleway, then quickly left over a stile on a footpath through the fine woods. building to the left. Head left off the path to a waymark post and follow the arrow downhill beside the house’s fence. The path drops to a minor road. Head right to eventually reach a car park. Keep straight ahead through a gateway onto the National Trust land at Coombe Hill. Follow the clear path straight ahead across the scrubby common. 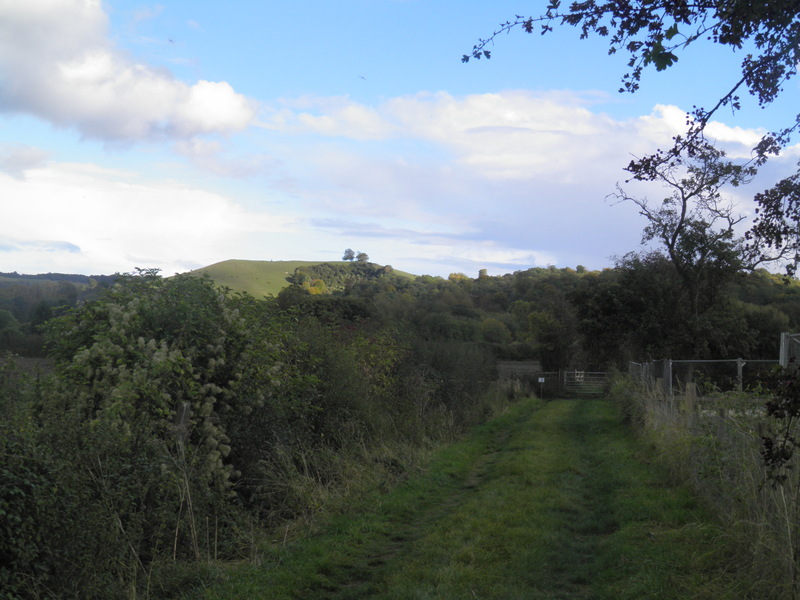 Pass through a belt of woodland and on other side follow the broad swathe of grass R towards the monument on Combe Hill. house in the valley below. From the memorial, head very sharply left, to take a path just below the one you arrived on, marked with the acorn waymarks of the Ridgeway. Reaching a fence, the Ridgeway turns briefly left uphill, then quickly right again through a kissing gate into the wood. Reaching a road, turn right downhill briefly before heading left on the Ridgeway just after Lodge Hill Game Farm’s drive. again. At various path junctions follow the clear Ridgeway signs through trees. Eventually, the path swings right to descend steeply to reach a busy road junction. Cross with care and take the footpath past the CCTV cameras and anti-ram raid gates on the edge of the Chequers estate. Cut across the grassland in front of the house. 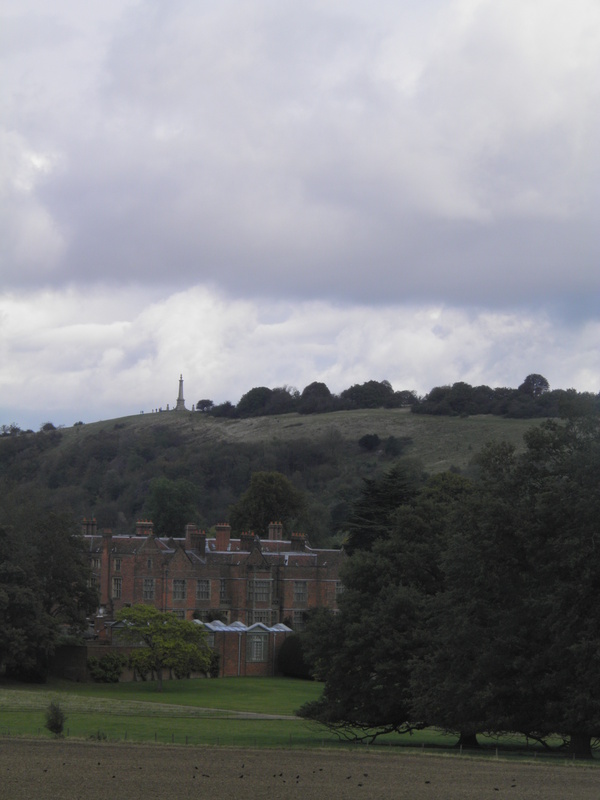 Cross Chequers’ drive by the lodge houses and climb the hill opposite. 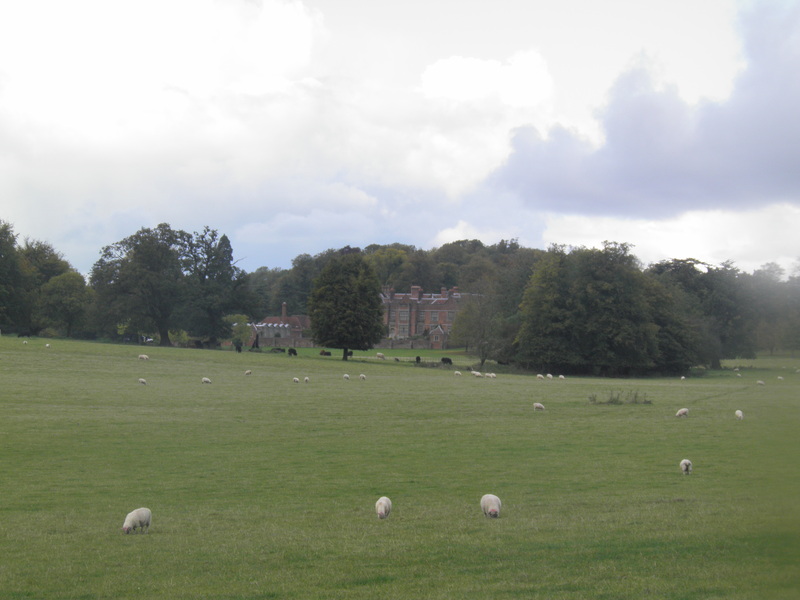 Through a gate at the edge of a wood, swing right along the hillside, with fine views of Chequers. 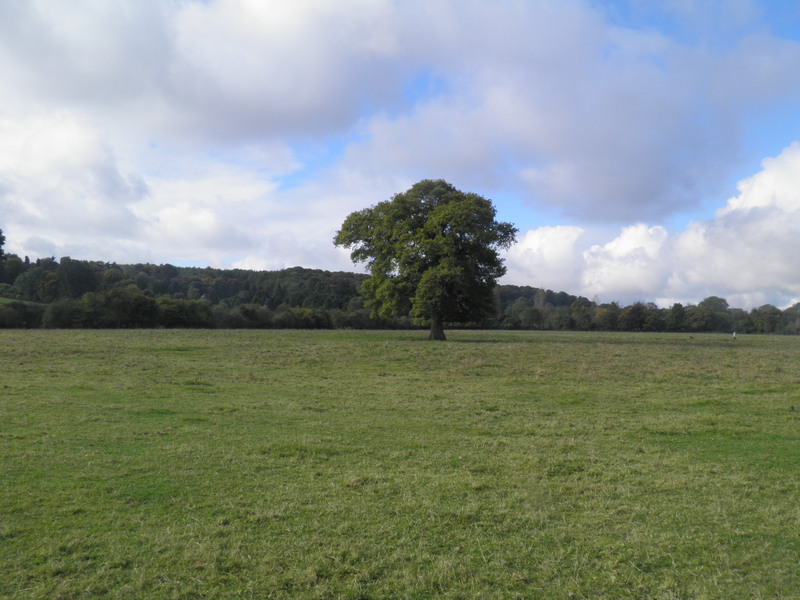 Through a gate and into open grassland, keep to the lefthand of 2 paths, climbing slightly, with good views north across the plains. At a gate, keep straight ahead on the Ridgeway, dropping into a dip. Ignore the path to the right at the bottom of the dip and continue on the clear path. A little beyond, veer right at a signed junction, leaving the Ridgeway. Follow this clear path across the grassy hillside. The path eventually reaches the corner of two fences and passes through a kissing gate onto a clear track. Head right, steadily downhill. The track eventually passes houses and arrives at the A4010. Head right, crossing the road to pass Great Kimble church. stepping stone on the road to the Civil War. In 1635, Charles I introduced the ship tax, designed to pay for naval expansion, with levies based on land ownership. A local landowner, John Hampden, refused to pay the taxes for which he was assessed in a number of parishes (though did pay in his home parish), including Great Kimble and neigbouring Stoke Mandeville. Taken to court for failure to pay the sum of £1, Hampden was found guilty, but only by a majority decision of seven judges to five – this narrow margin for the king was seen as a major setback for him, leading to increased refusals to pay the ship tax. Turn right next to the little primary school, following a footpath sign leading to a footgate. Follow the waymarks left into a field. Pass through the gate into a small wildlife area at the bottom of the field, before passing through a second gate and field to reach a footgate leading onto the railway. Do not pass through the gate but turn R along the field edge. The path leads through a gate and between fencs to reach the main road. Little Kimble’s tiny station is just ahead of you.